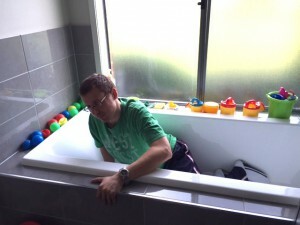 Following our article on 5 Exercises to help get out of bed, we have had several requests to write an article on the best way to get out of the bath. 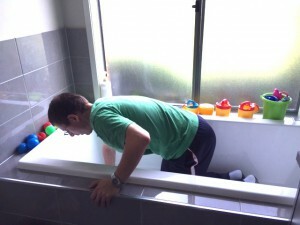 Beginning on your bottom, use the side of the bath to pull yourself onto your side, then onto your hands and knees. Hold onto the side of the bath, closest to the exit, lift your knees off the bath floor, so that you are balancing on your feet. 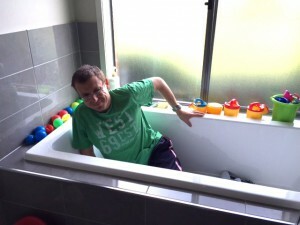 Continue holding onto the side of the bath, and bring one leg over the side of the bath. 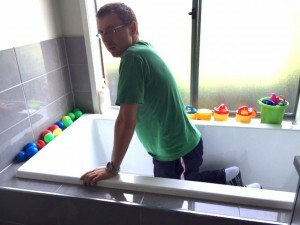 When you are safely standing on that leg, continue holding onto the side of the bath, bring the other leg over the side of the bath so that both legs are outside of the bath. 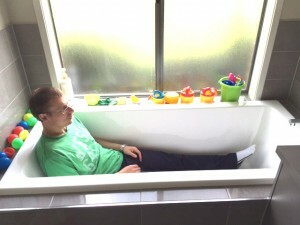 When you are safely standing on both feet, let go of the side of the bath. Our Seniors Pilates Program provides discounted sessions for 60+ members during the hours of Mondays to Thursdays 11am-4pm and Fridays 11am-2pm. We provide our Pilates program (to address aches, pains and injuries) to clients located in and around East Kew, Kew, Balwyn, Hawthorn, Malvern, Camberwell, Doncaster East, Templestowe, Lower Templestowe, Ivanhoe, Bulleen, Surrey Hills, Melbourne, Clifton Hill, Hawthorn East, Mont Albert and more! Opening Hours: Mondays – Thursdays from 7am-9pm; Fridays and Saturdays 7am-2pm.